Roger Federer is many things. The greatest tennis player of all time, a father, and… an expert in pasta? Pasta company Barilla features Federer in a new ad where he arrives with boxes of Barilla pasta in his tennis bag, ready to be taught how to make a professional quality pasta dish. Working hand-in-hand with a Michelin chef, the ad highlights the simplicity of the Barilla pasta, and that even Federer — someone who has self-proclaimed he can’t cook — can make a meal worthy of a Michelin restaurant. When I went to the grocery store two days later, I bought pasta, but I went for the best priced pasta, and I honestly can’t remember whether or not it was Barilla. Brands spend significant budget on these sorts of endorsement deals because in many ways, they work. With the right name, and the right ad campaign, consumers take note. In other words, celebrity endorsements build awareness. But do consumers actually trust celebrity endorsements? A recent consumer panel revealed that when it comes to buying something, people want help. When you stare down the pasta aisle at your local grocery store, the choices can seem overwhelming. Wheat or enriched or gluten free, with all of the different lengths and widths and shapes. And all from multiple different brands — what really sets them apart? Buying pasta is a pretty simple purchase; maybe about $5. But what about considered purchases that require research and price comparisons to ensure you’re getting the right product for your needs? Does a celebrity or athlete endorsement really help you differentiate which product or brand is the best one for you? This panel’s answer to that question is a resounding no. 83% of respondents state they are unlikely to trust a celebrity, with 48% of those respondents not at all likely to trust a celebrity’s endorsement. The trust factor only marginally improves when considering a professional athlete’s recommendation — 73% of respondents aren’t likely to trust them either. 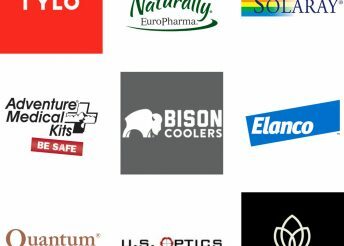 So who do people trust for product recommendations? People they know — friends, family, coworkers — who carry expertise. 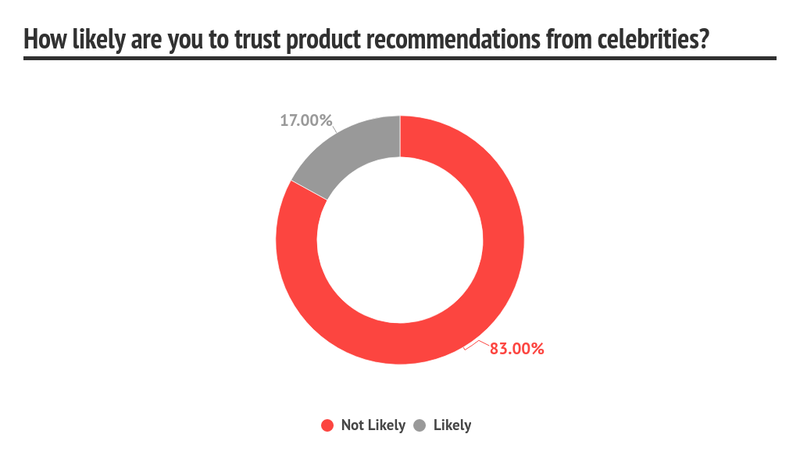 The same percentage of respondents — 83% — who don’t put a lot of weight behind celebrity endorsements instead trust the product recommendations given by friends and family. 54% find that coaches and guides have valuable recommendations, as well as other people they meet while participating in those activities. 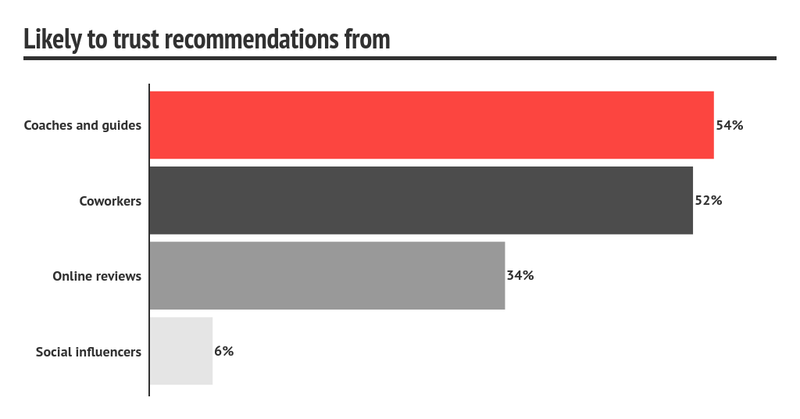 In a continuation of finding value in the recommendations of those you know personally, 52% of those surveyed state that they tend to trust the recommendations they receive from coworkers. Respondents were asked about their levels of trust regarding retail sales associates, and 42% remain neutral regarding these individuals. An important way brands and retailers can improve the consumer and associate trust levels is to invest in their associates: improving their product and brand knowledge base, and empowering them to be relationship sellers. The survey considered influencer marketing and found that while consumers trust social influencers more than celebrity endorsements, it isn’t by much. While 83% distrust celebrity endorsements, 72% are unlikely to trust product recommendations from an influencer. So what is it about a celebrity or an influencer that makes it difficult to trust them? 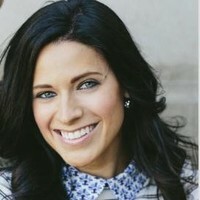 According to 43% of respondents, their greatest concern is that these people are paid by the brands they’re promoting. Additionally, in the free response section of the survey, many consumers express concern over what knowledge a celebrity actually possesses regarding the product they are being paid to endorse. They state that having honest, personable, and educated individuals making recommendations based on actual experience with the product is the difference maker in determining whether or not they would trust a recommendation. Expertise is critical to consumers looking for advice on what to buy. If you’re in the market for a new tennis racket or shoes, a personal recommendation from Roger Federer makes sense. Maybe you could believe his watch recommendation, as he is, after all, at least Swiss. A pasta recommendation, however, doesn’t seem very meaningful coming from someone who knows nothing about pasta. The well-produced Barilla ad featuring Federer acts as a great way to spread brand awareness, but as 72% of consumers in this survey reveal, if someone providing a recommendation doesn’t have direct knowledge and experience regarding a product, the consumer is not at all likely to take their advice. Awareness is important, but as consumers move down the marketing funnel toward deciding on — and making — a purchase, they’re going to look to the people around them for recommendations, not the people in an ad. They’re going to look to the people they trust.